Harper’s Pineville features the best of food, location and hospitality. 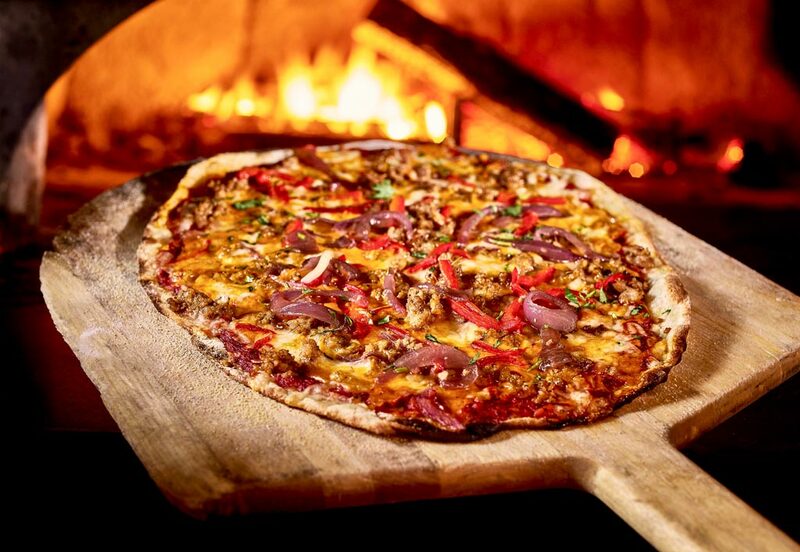 Our American-style cuisine prepared on a live hickory-wood grill and in a wood-burning oven produces extraordinary pizzas, delicious steaks and burgers and mouth-watering barbecue. Relax in our large, comfy booths or soak up the vibe in our lounge where we have four large HDTVs for catching the latest game. Our two outdoor patios are open and ready for meeting up with co-workers or for simply enjoying a drink under the blue Carolina sky. If you are planning a social event for your company or family, consider our private dining room. It seats up to 40 people and is available for breakfast, lunch or dinner. Located at Carolina Place Mall, Harper’s at Pineville is convenient to 485 and Pineville-Matthews Roads—the perfect stop for a great meal.